That word, that we all need to do but probably avoid most of the times. 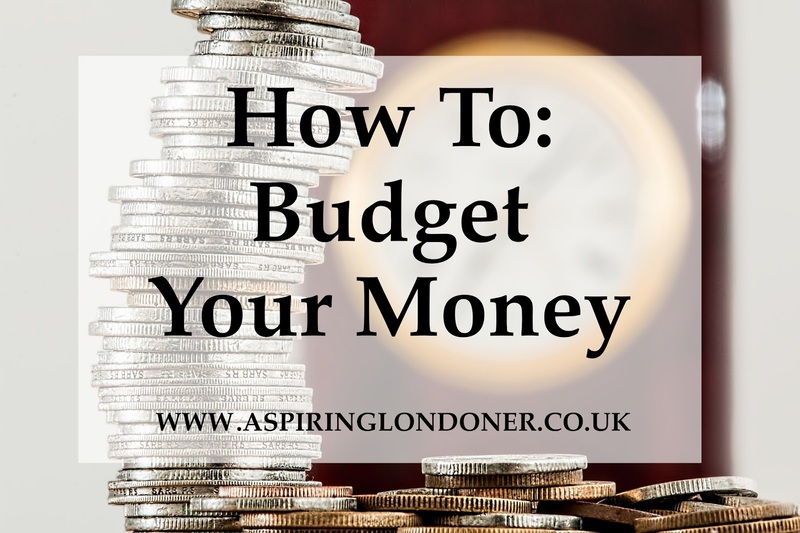 Budgeting is almost like dieting, you know you should do it, you feel like a good person when you do it, but you don’t always stick to it – and at the end of the month, wonder where all your money has gone. I’m a numbers girl, always have been. I’ve always loved Maths and still do. However, that didn’t quite translate into me being good with money. After graduation, on my first graduate job, I thought I was so grown-up with a real job and a real salary. I thought to myself, ‘ah, I won’t be skint again like when I was a student!’. After a few months, I realised how wrong I was. You see, we tend to spend more than we think we spend. And this is precisely why at the end of the month we’re left wondering where did it all go?! Our 20’s are the most important time of our lives where little changes can have quite a large impact on our future selves. For example, making sure we start investing in our future in a pension fund. Most of us will have this through our employer, but my self-employed friends seem rather clueless and keep avoiding it. If you’re interested in knowing more about this, let me know as it’s a beast in itself. Back to the topic in hand, budgeting our money. So we if we keep a maintain a good budget which includes a steady amount to save, this will result in a great little retirement pot (thanks to compound interest!). Now, that’s all great stuff but where the hell do I start? Think simple, do you know roughly where your salary ends up? Keep a spending journal for a week, or go through your bank statement (in detail) and check what you actually spend your money on. You can use good old pen and paper, a spreadsheet or an app! There are some great free apps like My Budgets and Spending Tracker. These are mobile app based, if you prefer something more elaborate for your laptop, see below. I divide my budget into three categories – essentials, savings, non-essentials. This category consists of all the essential elements of my life – rent/mortgage, bills, transport and food. I need these things to live my life, cover my basic needs. Bearing in my mind, when I say food, I mean the bare essential food needed in my life to provide nutrition, not the £5 Starbucks I get at 11am in the office. Once you have the bare essentials deducted from your salary, the rest you have to play with. The reason this should be your second biggest category is to avoid debt and plan for the future. This can be the cushion you need for worst case scenarios i.e. redundancies, emergencies etc. As a rule of thumb, saving 10% of your salary is a good place to start. But I’d say, push yourself! From your income, whatever is left behind after your essentials – try and save the majority of it. And whatever is left behind can be used for the ‘little luxuries’ in life (that Starbucks we talked about earlier). I might dedicate a post on how to maximise your savings, if that’s something you’d like to see – please let me know! This category is dedicated to the things that we don’t necessarily need, but want. Like that pizza on a Saturday night, or a few drinks on a Friday night. Or even the odd Personal Training sessions if you’re looking after your fitness. This little pot is much needed for my sanity at least! The trick is to make sure you stay within your pot. One way is by withdrawing the cash and only spending that. Another way, you could have separate bank accounts, where you divide your essentials and non-essentials pots of money. Initially it’s hard, it’s bloody hard! But after a couple of months, especially when you start to see your savings grow steadily, it becomes easier and easier to spend less. You really start to visualise yourself with a decent amount of savings cushion by the end of the year. This is SO worth suffering that initial sting of cutting down! This is a basic approach to budgeting. If you want to be more precise and want to plan down to every last penny, some great resources are – the Money Advice Service Budget Planner, Money Saving Expert Budget Planner.